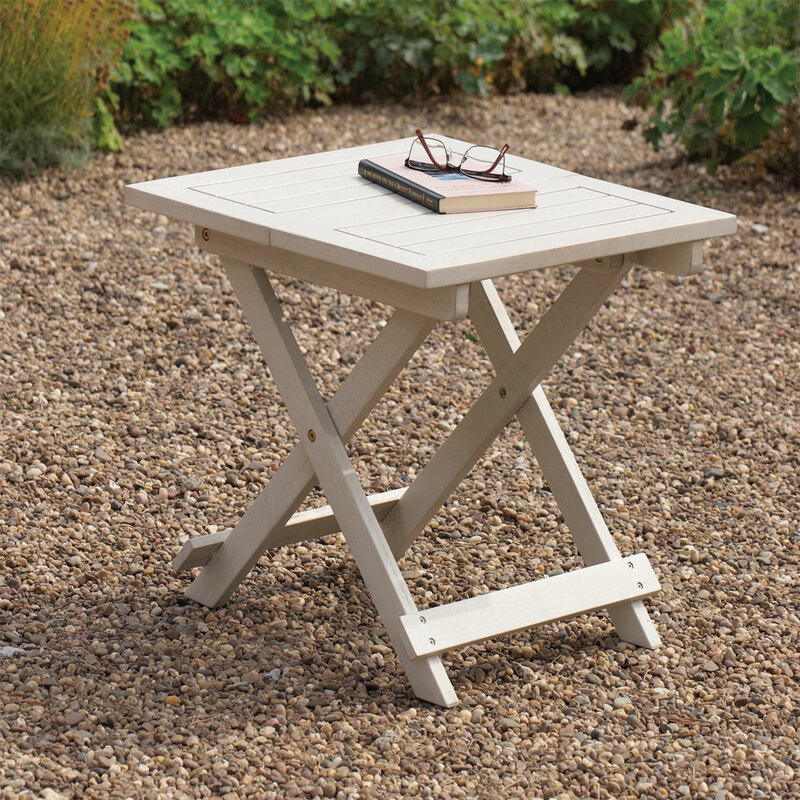 Perfect in the garden,on the terrace or at the poolside: Our Raffles White Wooden Folding Bistro Set is crafted from solid weather-resistant* natural acacia hardwood and combines elegance and comfort with durability. The robust and stylish wooden-slatted chairs with metal fittings have matching, detachable soft cushion pads whilst the circular table has a, pretty, hexagonal slatted inset top. 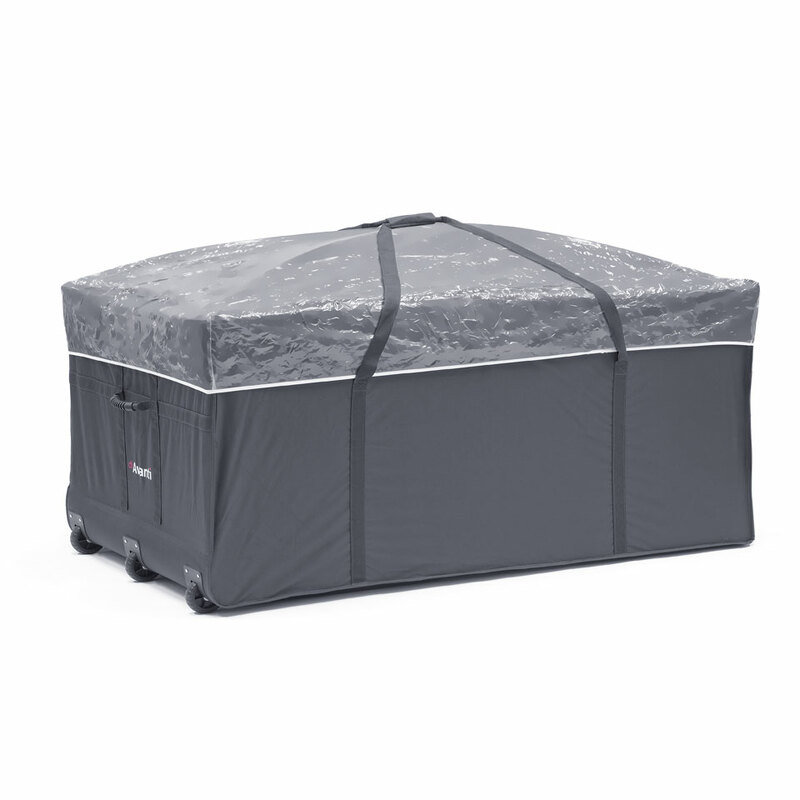 The whole set folds flat for easy carriage and storage and the washable cushions attach with simple fabric tapes. 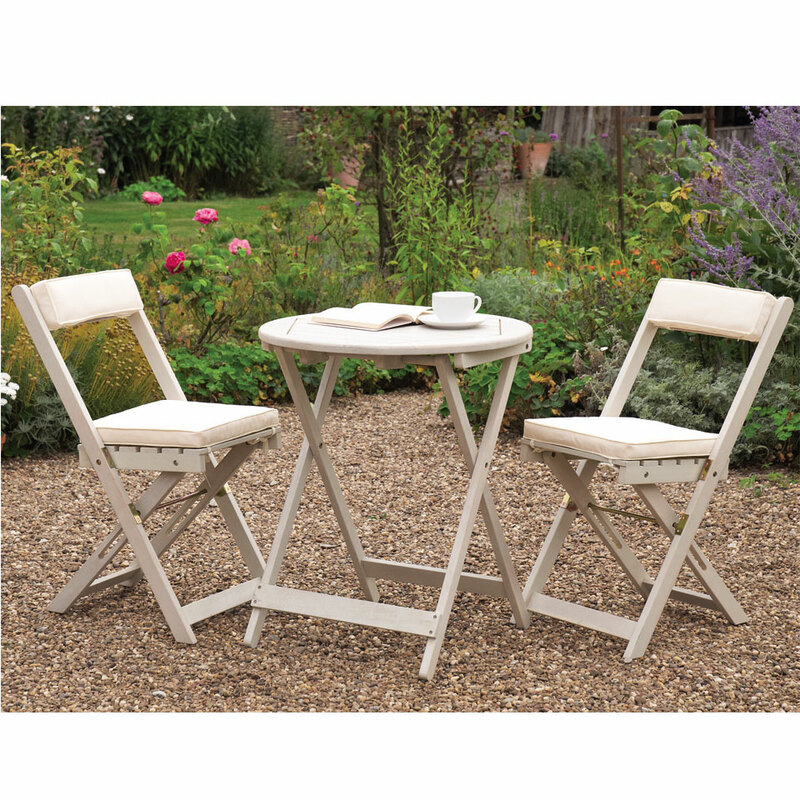 Features: • Elegant and practical white, wooden slatted bistro set.• Crafted from solid, weather-resistant, FSC certified, acacia hardwood.• Detachable, washable cushions.• Folds and stores away flat.• Part of the complementary range of Raffles furniture…. 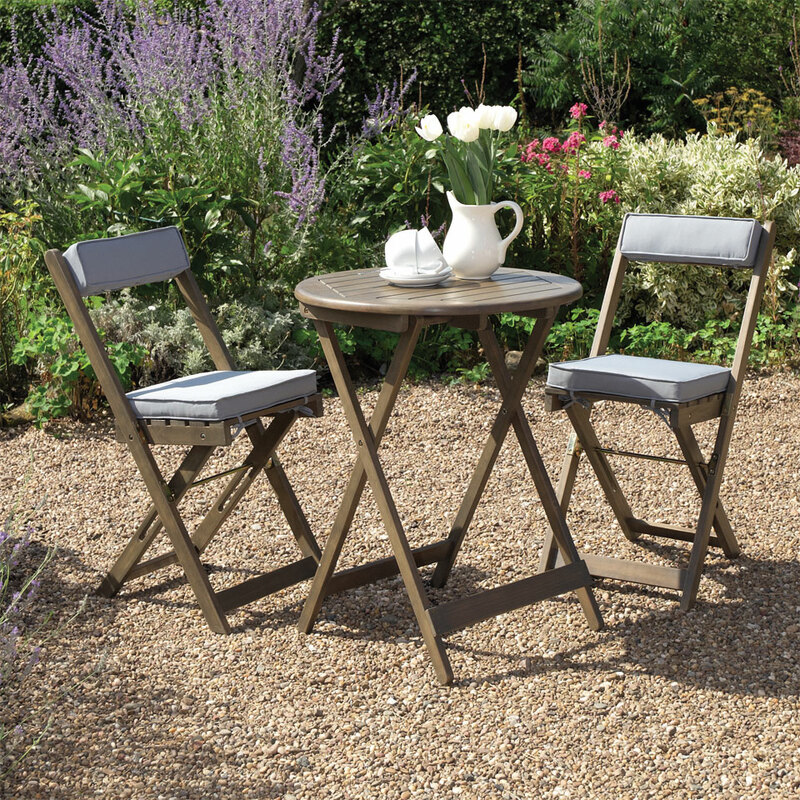 Perfect in the garden,on the terrace or at the poolside: Our Raffles Grey Wooden Folding Bistro Set is crafted from solid weather-resistant* natural acacia hardwood and combines elegance and comfort with durability. The robust and stylish wooden-slatted chairs with metal fittings have matching, detachable soft cushion pads whilst the circular table has a, pretty, hexagonal slatted inset top. The whole set folds flat for easy carriage and storage and the washable cushions attach with simple fabric tapes. 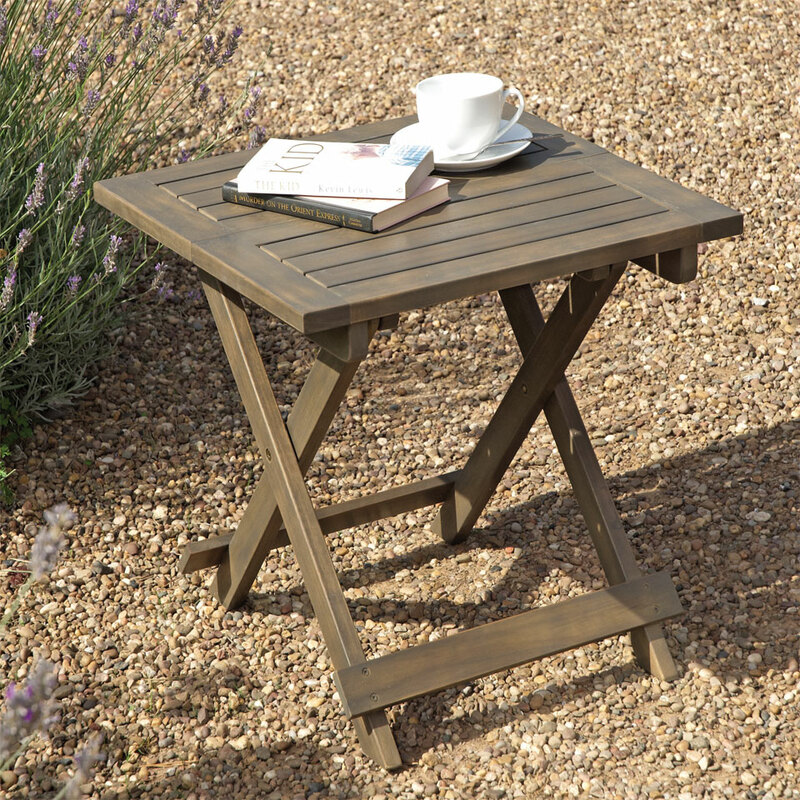 Features: • Elegant and practical grey, wooden slatted bistro set.• Crafted from solid, weather-resistant, FSC certified, acacia hardwood.• Detachable, washable cushions.• Folds and stores away flat.• Part of the complementary range of Raffles furniture….